Exquisitely designed by our teams of dedicated employees and sent out to you as fast as are able to, this 1.625" Four Corner Vintage Address Stamp will add a lovely artwork to all of your outgoing mail. 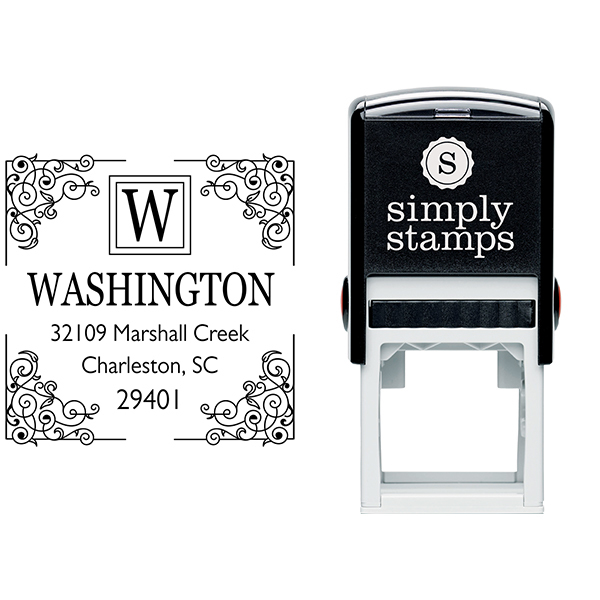 Offered in a great selection of styles, this is the perfect custom stamp for your office. Get yours today! 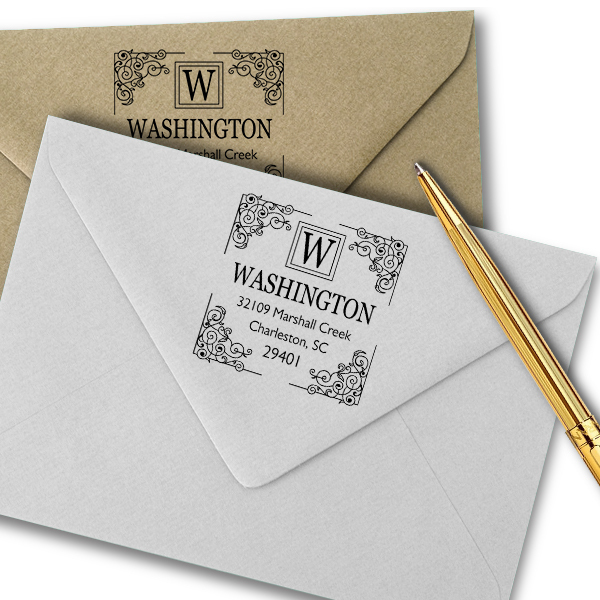 Simply Elegant Monogram Stamp Details Come enjoy this brand new Four Corner Vintage Address Stamp! Designed just for our lovely customers, we have ample stamp designs to help you discover your perfect match! 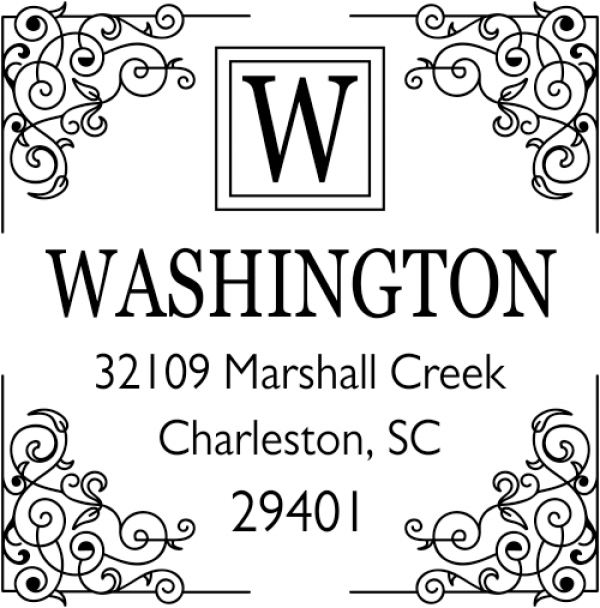 All of our custom address stamps has been professionally produced by our practiced manufacturing professionals and designers. Presented in a wide array of sizes and ink colors and great to give as a house warming gift! Each and every of our custom rubber stamps are made-up of high quality components promised to provide you with the finest impression time and again! Buy your brand-new custom stamp here!